Doctor Brothers From Nashik Finish World\'s Toughest Cycle Race. 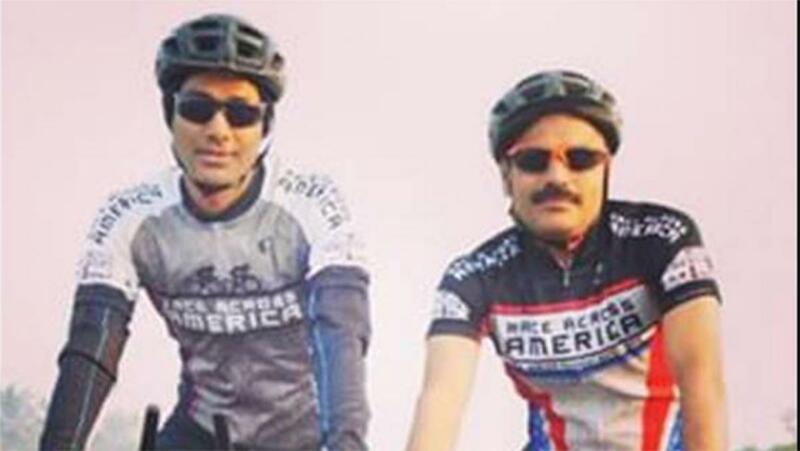 In a first for the nascent sport of ultra or very long distance cycling in the country, two doctors from Nashik--Hitendra Mahajan and his younger brother Mahendra--today completed the 4,800-km Race Across America (RAAM), which is considered as world\'s toughest cycle race. Mumbai: In a first for the nascent sport of ultra or very long distance cycling in the country, two doctors from Nashik--Hitendra Mahajan and his younger brother Mahendra--today completed the 4,800-km Race Across America (RAAM), which is considered as world's toughest cycle race. The Mahajan brothers, aged 44 and 39, crossed the finish line at Annapolis, Maryland on the Atlantic Coast, 8 days, 14 hours and 55 minutes after being flagged off from Oceanside, California on the US West Coast, according to the official website of the RAAM. Unlike the Tour De France, which is a stage race, RAAM is a multi-day event where the participants have to cycle continuously for hours together, which tests them physically and mentally. In their successful finish, the anaesthetist-dentist duo cycled at an average speed of 23.36 kms per hour across the course. The Mahajan brothers are the third Indian team to attempt the race, after Bengaluru's Samim Rizvi and Alibag's Sumit Patil, both had attempted it in the solo category. "It is a cruel race where all the hostilities conspire to test you. This is an extremely proud moment for Indian cycling. Finally, after four attempts, we have the tricolour fluttering across the finish line officially," Patil, who participated in the last year's competition, told PTI. After starting from the pleasant climes of California, the riders enter the demanding Mojave Desert, deal with the high mountain passes in Colorado, brave the winds in the prairies in central US and get tested one last time in the Appalachian Mountains before reaching the finish line on the East Coast. The two-member team had 9 days to complete the 4,800-km distance, while the solo participants get 12 days. It works like a relay race under the two-member category and the Mahajan brothers were supported by a crew of over a dozen members who followed them in cars, supporting with navigation, nutrition, cycling assistance and all the other requirements on the road. Mahajans' "Team India: Vision for Tribals" is riding for the charity Kalpataru Foundation, under which every 100 km of cycling will result in five cataract surgeries and one corneal transplant. Cumulatively, the ride will help 240 cataract surgeries and 48 free corneal transplants for the tribals. Budgets for the ride, including costs of the state-of-the-art bicycles and accessories, hiring of vehicles etc runs into lakhs of rupees. The Kalpataru Foundation has raised Rs 50 lakh for the events surrounding the RAAM, its founder Sharad Patil said. The Mahajan family and their friends have paid for much of the expenses for the ride by themselves and Rs 35 lakh will be used for the charitable causes of uplifting the tribals, Patil added. He said the Mahajan brothers have been practising hard for the last three years, which included around 150 km of riding every day for at least thrice a week and also simulating a RAAM-like race in March. The Mahajan family in Nashik could not be contacted immediately for comments.